It's always nice knowing you've got something no-one else has, something that's personal and very special to you. Listen in and we'll tell you some secrets on how to really personalise your piece of jewellery, whether that be a ring, a pendant, a bangle or even a pair of cufflinks. Got some old jewellery that's collecting dust in your jewellery box? We'll help re-design you something new so you can keep the sentimental value behind it. Often ladies set the birthstones of their loved ones into an eternity ring. From emeralds to diamonds and opals to peridots, we can help you hand pick them yourself. Why not engrave your wedding date inside your wedding ring or his pair of cufflinks? Our laser engraver means you can choose almost any font that takes your fancy. Why not engrave his initials on his signet ring, or perhaps engrave her name inside a bangle? Graham our hand engraver does a grand job. We can also engrave photographs onto your pieces. For example, a thumbprint of your first born onto a a pair of cufflinks. We can even engrave onto a My iMenso insert for that extra personalised pendant. What's My iMenso? Got a shaped engagement ring? No worries, we can design you a wedding and an eternity ring shaped to fit. Or need a pair of earrings to go with that pearl necklace you've had for ages? We can sort that too, Laura's great at making our pearls for us. Our Will You Marry Me? 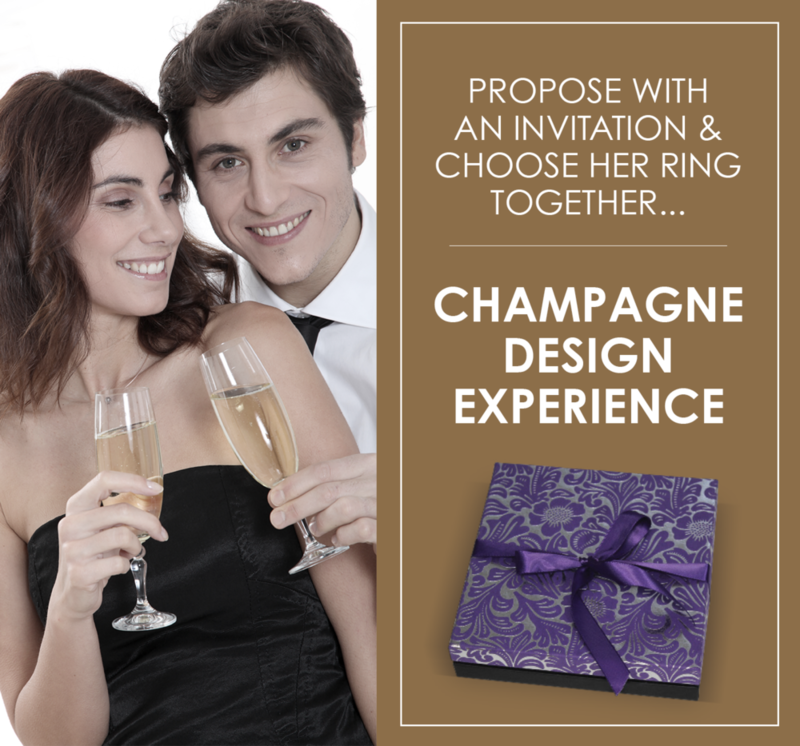 collection allows you to propose to your loved one with a personal message. We can engrave almost anything onto your piece of jewellery, depending on what it's made of. Seen a pattern you like? Show us and we'll see what we can do.